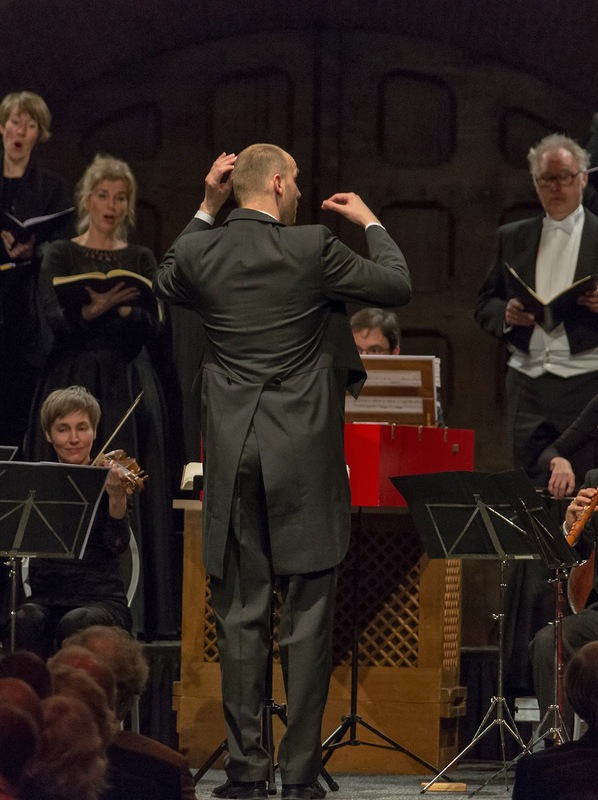 On 8 March 2017, the Netherlands Chamber Choir (Nederlands Kamerkoor) and its chief conductor Peter Dijkstra, will be performing at Cadogan Hall, the choir's first UK appearance for 15 years. Their programme consists of music by Britten (Hymn to St Cecilia, Sacred and Profane), Gabriel Jackson, Luciano Berio and the Swedish composer Lars Johan Werle. I caught up with Peter via Skype to find out more about the programme. 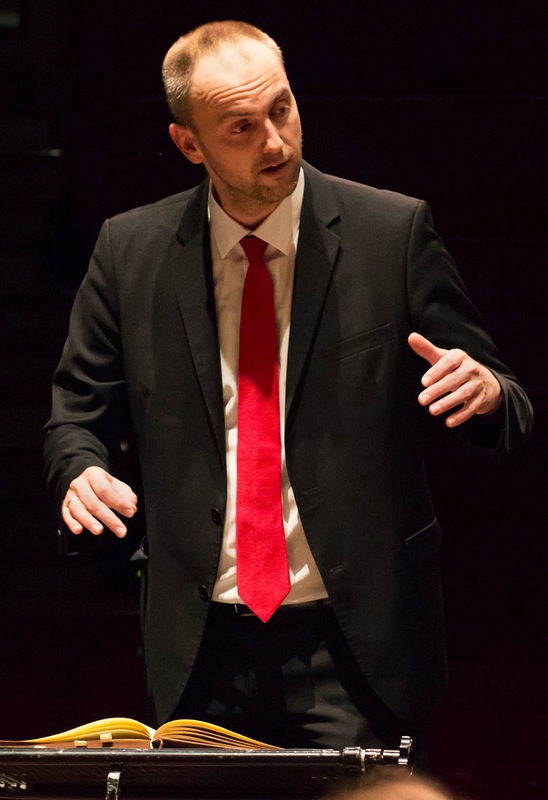 His starting point was Benjamin Britten's Sacred and Profane, a cycle of eight pieces from the end of Britten's life (1975), Peter describes it as demanding for the vocal ensemble. Britten set a mix of sacred and profane ancient texts, so Peter wanted to pair the work with music which had a similar combination of the sacred and the profane. For us in life, do we turn to the sacred or are we more interested in the temptations of profane things, these are questions which Peter wanted to ask in the programme. In fact, when we spoke Peter and the choir were immersed in an entirely different programme, performing minimalism with music by Arvo Pärt and Philip Glass. For the Sacred and Profane programme, Peter also wanted to find texts which worked well together. Peter describes Gabriel Jackson's Ave Regina coelorum as a very pure setting of a Marian antiphon, yet it is accompanied by electric guitar, one of the most profane instruments you could image. Jackson's treatment of the guitar is very diverse, so the twangy sounds of the guitar work well and there is even an aria for soprano and guitar. Peter calls it 'a wonderful thing'. Lars Johan Werle is, for Peter, a dear composer from the Swedish choral tradition. Peter feels that when the listener starts listening to Werle's Canzone 126 di Francesco Petrarca they might think they were listening to an ordinary Monteverdi madrigal, but then it takes flight into an extraordinary contemporary piece with note clusters and spoken passages, a madrigal in a new guise. So the work picks up on another theme of the programme, 'old texts with new music'. The choir has a very broad range in its programming, from Renaissance, through oratorios by Bach and Handel, to new music and commissions. In every programme they have a new aim regarding the sound the choir makes, depending on what the music asks for. For the Sacred and Profane programme, Peter will be searching for an expressive sound from the singers which will work well with the texts. Berio's Cries of London is very soloistic for the singers, yet more experimental in style and asks for straight tone. Whereas the works of Lars Johan Werle will need more expressive sound. To sing a programme based around English texts to an English audience was not in fact the choir's specific choice, they simply presented a selection of possible programmes to Cadogan Hall and it was Sacred and Profane which was chosen. It reflects a level of curiosity, about a Dutch choir singing English music, which Peter finds wonderful. Where do I belong, what is my future? The Netherlands Chamber Choir celebrates its 80th birthday this year (2017), and will be doing so with a weekend celebration in which they and guests will be performing all 150 Psalms. The choir will be joined by Peter Phillips and the Tallis Scholars, the Norwegian Soloists Choir and the Choir of Holy Trinity Wall Street, and will be performing 12 concerts in one weekend. There will be 12 different programmes, with 12 different themes. In addition Nobel Prize Winners will do lectures, and there will be links to other art forms. The programme for the weekend will cover 1000 of choral music, and Peter rather proudly explains that the 150 psalms will cover 150 composers, in a series of versatile programmes. Peter is at pains to point out the that the weekend is not an exercise in nostalgia, and that many of the psalm texts are relevant today. The references to sovereigns using power at will, the sufferings of refuges, and peoples walking around homeless clearly apply to today's world, asking the question where do I belong, what is my future, and what does my religion mean to me? And Peter calls them fantastic texts to bring alive. They will be performing the programme at the Early Music Festival in Utrecht, the Klara Festival in Brussels and perhaps in on places, they are still looking at other possibilities. 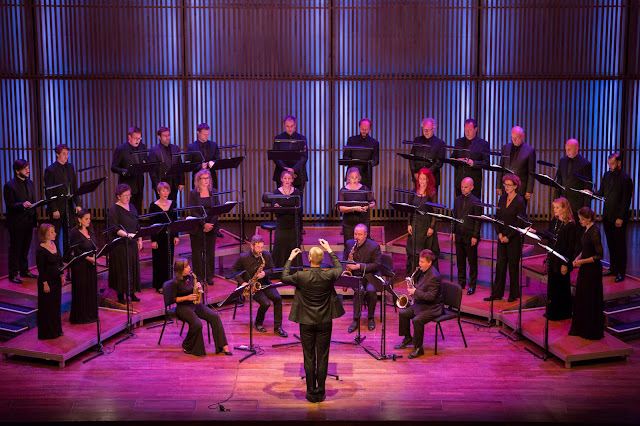 It is one of the most daring and biggest things that the Netherlands Chamber Choir has ever done. Peter calls it so huge and so broad, and he feels sure it will have a big impact. Another project, in May 2017 is Brahms's Requiem reinvented, Brahms' Requiem in a new version by composer Yannis Kyriakides which the choir will perform with Remy van Kesteren on electric harp. Peter admits that he does not, as yet, know that much more about the project than I do. Remy van Kesteren is an interesting young harpist whose work goes from the virtuoso to cross-over, and he won the Netherlands Music Prize a few years ago. His electric harp has at least the possibilities of an electric guitar, if not more, and Yannis Kyriakides version will include electronic music as well. So that there will be a combination of prepared score and live performance. What exactly the performance is going to be is a question for Peter as well, he expects aspects of Brahms' Requiem transformed with a new language. Peter feels that this kind of shows the choir's approach to stretching the borders of music. Peter admits that sometimes, perhaps, they over step the border but he feels it is worth and their public certainly like it. The choir be present in the whole country. They have a big following in the Netherlands, and in 2015 they raised 45% of their income from the public. They take their programmes to promoters in different parts of the country, so that they have a series of concerts in different cities, taking one programme all over the country. They travel a lot, but the Netherlands is not large so Peter feels that it is possible, and he sees it as important that the choir be present in the whole country. This applies to the choir's outreach programme, 'Singing you do together', which is a format whereby the collaborate with amateur choirs. Members of the choir go to the amateur choir and give workshops and masterclasses, working with the choir and investing in their choral culture. 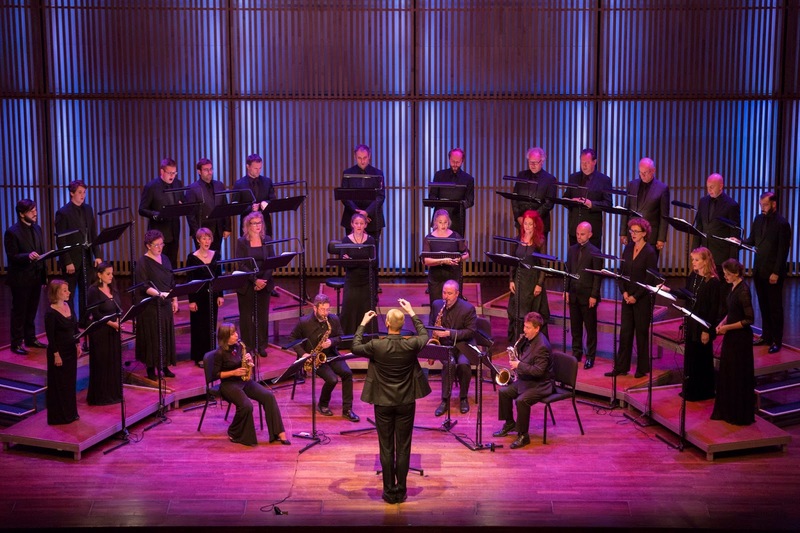 The amateur choir then perform in a pre-programme at one of the Netherlands Chamber Choir's concerts. In this way they connect with and invest in their public. The choir wants to work with the whole Netherlands choral culture, whilst they want to be as good as they can be they don't just want to be in a bubble. The choir's audience is very important to its financial stability. 10 years ago they lost more than 50% of their income thanks to the severe government cuts which applied to a number of Dutch arts organisations. Peter thinks that is amazing that they have made it to their 80th birthday, as five years ago thing really looked dark but thankfully now they are approaching stability in their financial organisation. They have to invest a lot of time in repositioning the ensemble, and creating more secure financial means, and all this takes time but Peter feels the end is in sight. 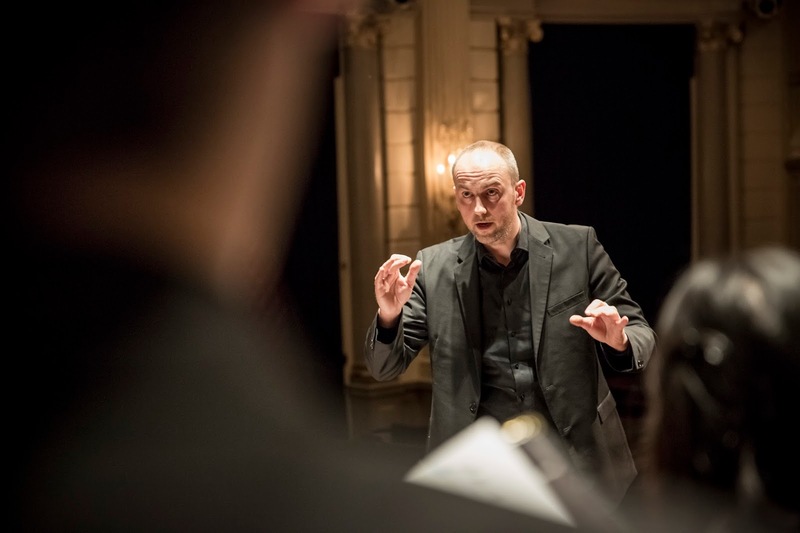 The Netherlands Chamber Choir, conductor Peter Dijkstra, is at Cadogan Hall on Wednesday 8 March 2017, performing programme which includes Britten's Hymn to St Cecilia, Gabriel Jackson's Ave regina caelorum, Luciano Berio's Cries of London, Lars Johan Werle's Orpheus and Canzona 126 di Francesco Petrarca opus 6 and Britten's Sacred and Profane. They will also be performing the programme at three further concerts in the Netherlands, see the choir's website for details. Full details of all the choir's concerts from the concerts page on their website.